I know many of you have been wondering when the user presentations from this year’s COMSOL Conference would be published. Today we get to tell you that the presentation slides, papers, and posters are now available online. And as you will see, it is quite the collection too. 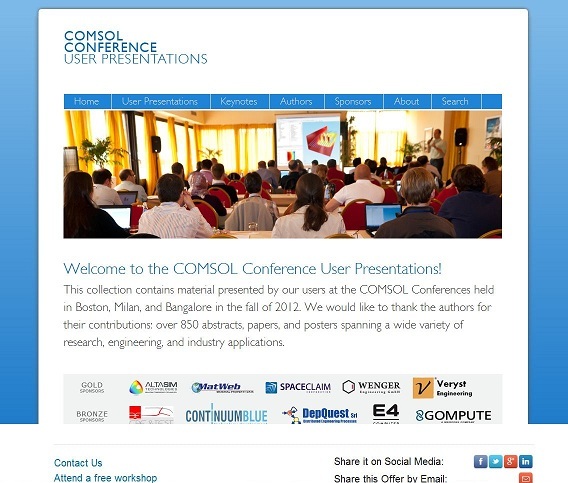 The COMSOL Conference User Presentations are here. This year we are delivering this incredible content in a fresh “online-only” format. We’re very excited about the look and feel of this year’s User Presentations resource, and hope you will enjoy it too. With seemingly everyone moving in a more sustainable direction, it’s only appropriate that we follow suit. Plus, this online format makes it easier for you to navigate through the content as well. Win-win! The User Presentations can be explored by topic area, but if you are searching for the work of a particular author you may look it up that way too. In the Author Index we display an alphabetized list of authors with the title of their abstract shown underneath their name. To all of you who submitted papers or posters — and in some cases both — thank you for your hard work! We are proud to have you in the multiphysics community. Information about the keynote speakers who presented at the COMSOL Conference in Boston, Milan, and Bangalore can be found under the Keynotes section. Here you will be able to see the name and affiliation of the speaker, along with his photograph and a short bio. You can also download each of their presentations in PDF format. Under the Sponsors tab we highlight all of the conference sponsors. Our sponsors are here to help you, and we encourage anyone who is seeking the solution to a design problem to consider one of the Conference sponsors. 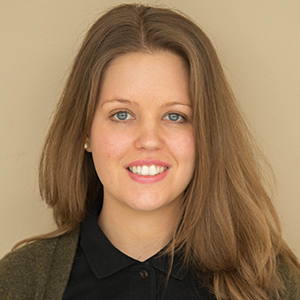 Start by learning more about them in the Sponsors section of the User Presentations resource. And… If you like what you see, don’t forget to share it with your friends! At the bottom of the User Presentations page you will find share buttons for email and several popular social platforms.